Keep cool and look hot! 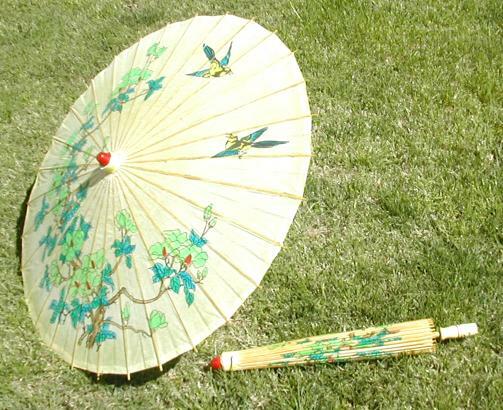 23" Oriental style Paper Parasols with Bamboo Handles. Various, but similar prints, no choice.